The chief executive of Currys PC World and Carphone Warehouse is leaving to join High Street chemist Boots. Dixons Carphone confirmed the departure of its boss Sebastian James, just days before it reports its results for the Christmas period. Last month, the firm warned of a sharp fall in profits because customers were not upgrading their phones enough. Mr James, who has been at Dixons since 2008 and is a friend of David Cameron and George Osborne, will go in April. He will be replaced as boss of the UK’s biggest specialist electronics chain by Alex Baldock, chief executive of online retailer Shop Direct. Dixons Carphone, which employs over 42,000 people in nine countries, issued two profit warnings last year amid a slowdown in sales of new mobile handsets. Its shares have fallen more than 40% in the last 12 months, as investors worried about the firm’s falling profits and a spending squeeze for UK shoppers. Mr James said he was “very sad to leave” but that he was proud of the “profound transformation” of the business. When Dixons, which owns Currys PC World, merged with mobile phone retailer Carphone Warehouse in 2014, he became chief executive of the joint group. A high-profile business leader, Mr James came out in support of remaining in the European Union’s single market after the Brexit vote in June 2016. Since then, some parts of the business have struggled. 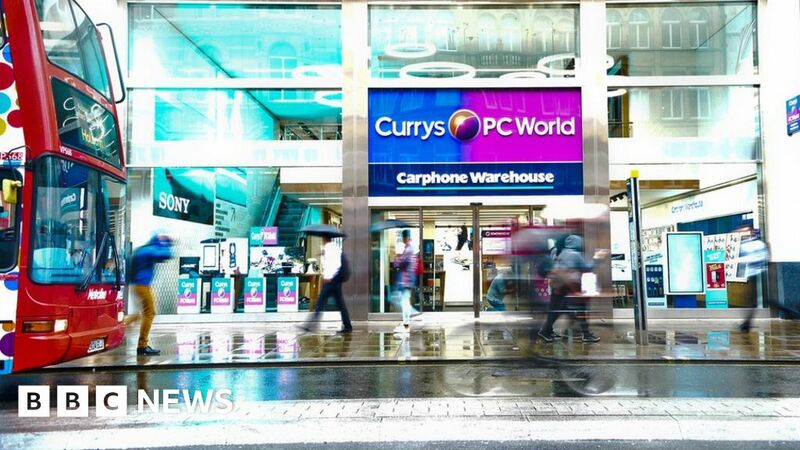 Although Currys PC World reported growth last year, Carphone Warehouse suffered as customers shunned expensive handsets and held onto their old phones for longer. The firm is due to give its Christmas trading statement on Tuesday. Mr James will then join Boots’s parent company, Walgreens Boots Alliance, later this year, the firm said.